Ford Motor Company is an America based motorcar manufacturer. The history of Ford India Private Limited dated back to 1907, when Model A was introduced. The modern history of the company started around 1996 as a 50-50 joint stake between Mahindra &amp; Mahindra Limited and Ford India Limited. However, later in March 1998, Ford gained 72% stake in the venture and became the decision maker. The head quarter of the company is located in Chengalpattu, Chennai, Tamil Nadu. Ford India Limited is the 6th largest car manufacturer in India. From their beginning, Ford India has launched several car models India. Among them, you can find Fiesta, Classic, Figo, Endeavour, Mondeo, Fusion and Ikon Ford car models in current Indian track. The website of Batterybhai.com is dedicated to provide cheap Amaron, Exide and SF Sonic car batteries for each model of available Ford cars. Here, you can compare the price of several car batteries for Ford cars as well as can purchase a suitable battery for your car. Our clients praise our service as we provide free home delivery and free installation within 24 hours of the order. 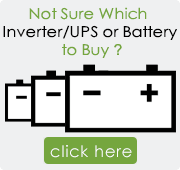 So, sit relaxed on your home and order the Ford car battery of your choice anytime you want from here.